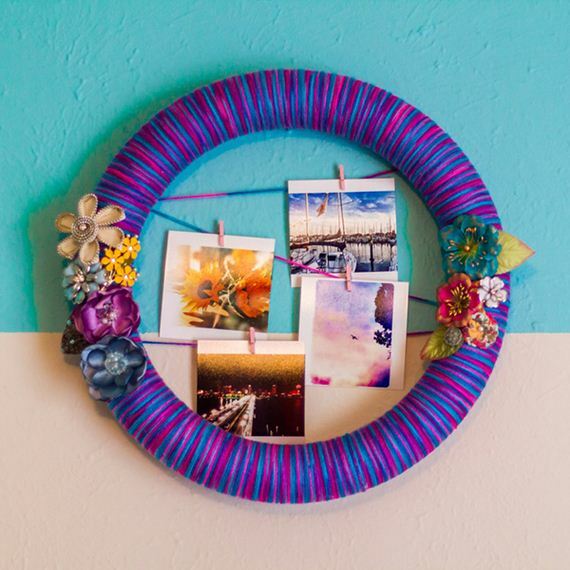 Postal Pix created a wreath that doubles as a photo display area. 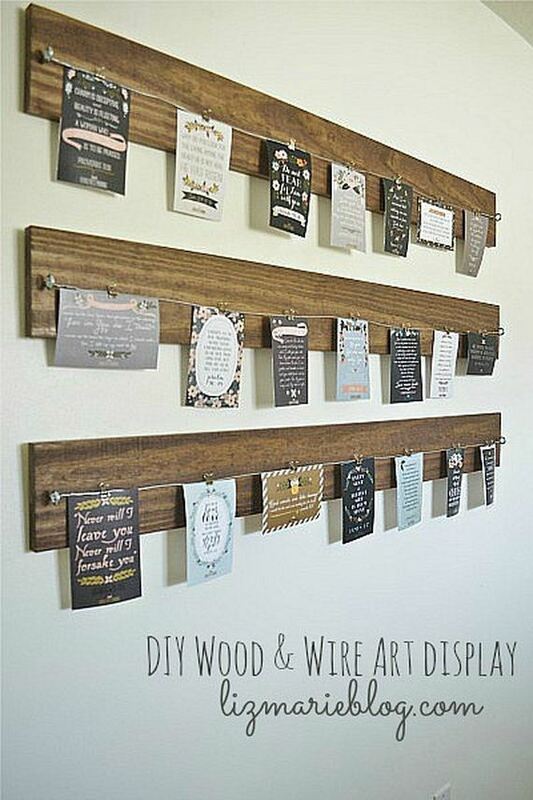 We love this quirky project and think it’s perfect for dorm rooms! 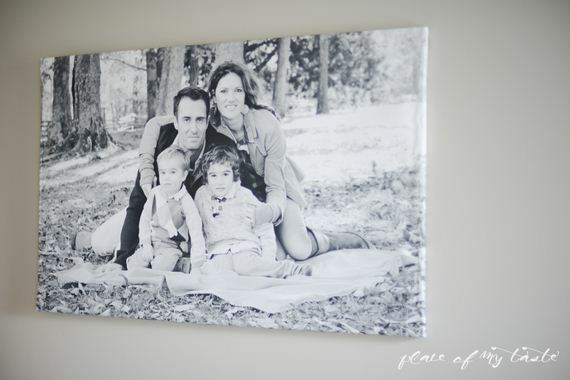 Learn how to create a “canvas” right at home with some help from Place of My Taste. You’ll have something beautiful for the hallways or dining room in no time. 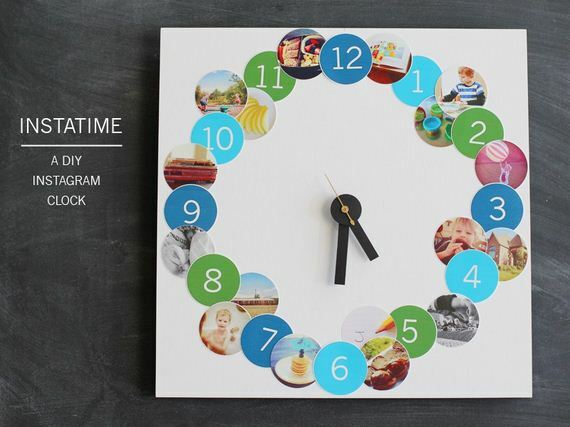 Little Inspiration teaches us how to bring those Instagram shots to life right at home. 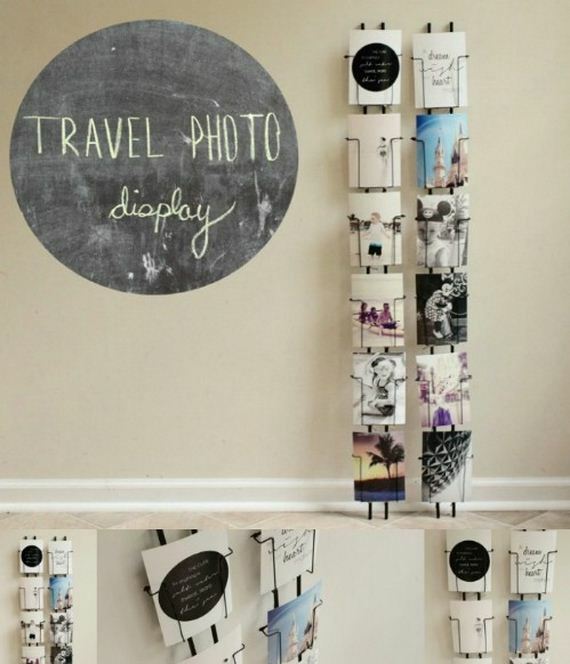 We love this adorable display idea! Check out this snazzy project at White House Black Shutters. 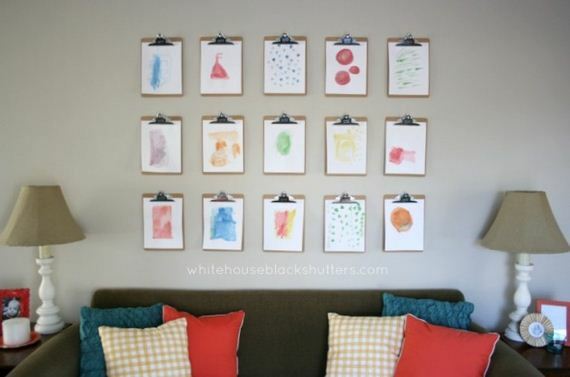 You can display the kids’ artwork or your favorite family memories – the best part is the versatility of change! Photojojo has something extra unique for us to try out. 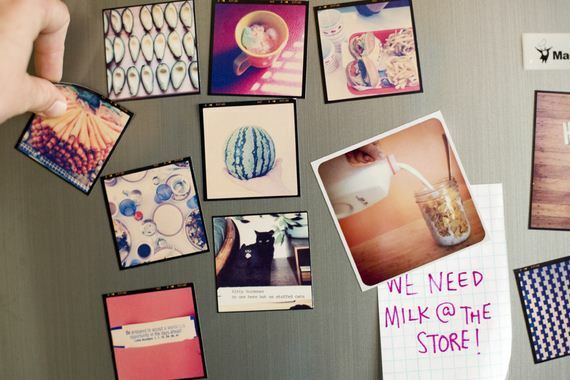 Turn your Insta photos into fridge magnets! 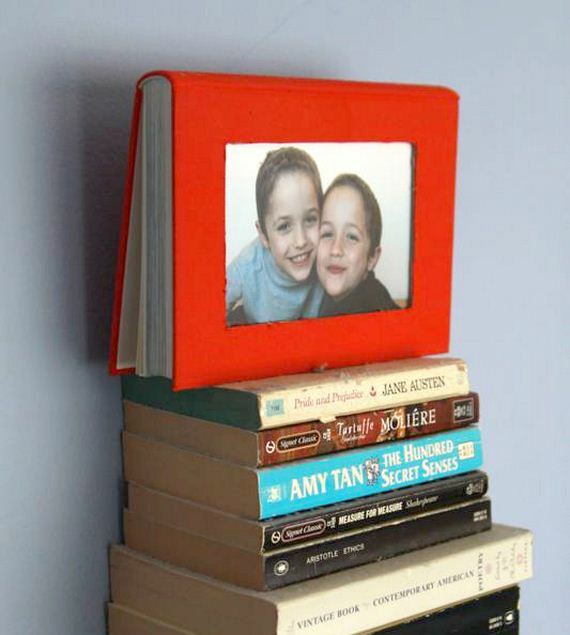 It’s a great way to display in a subtle way! It’s Always Autumn makes a frame out of an older book and we love it! 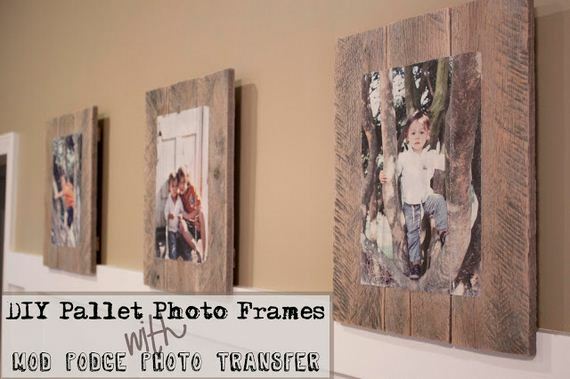 It’s just a fun way to sneak a family photo into the decor. Visit It’s Always Autumn if you want something a bit sweeter. 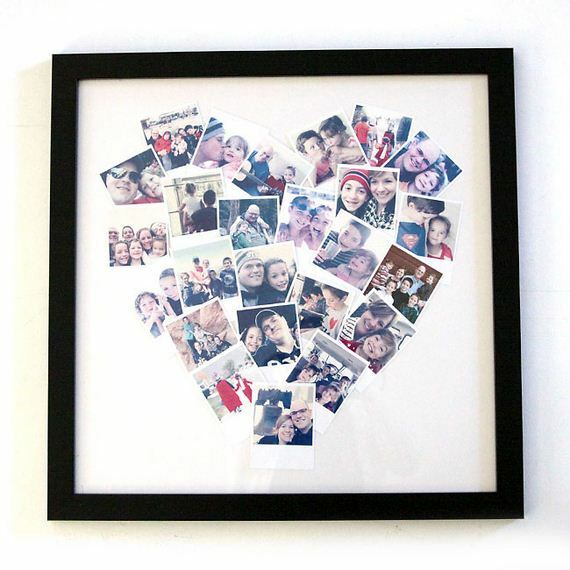 Turn your little snapshots into a heart display inside the house! 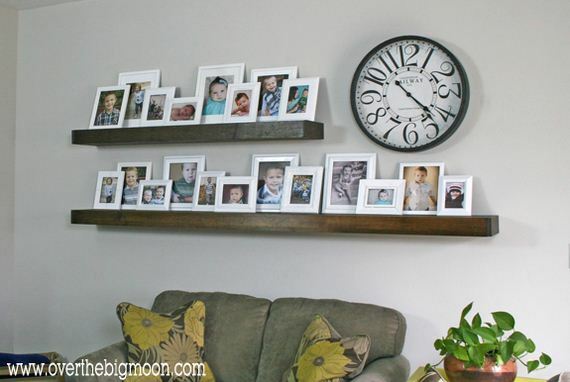 Over the Big Moon will show you how to make photo displays that fill up some floating shelves. 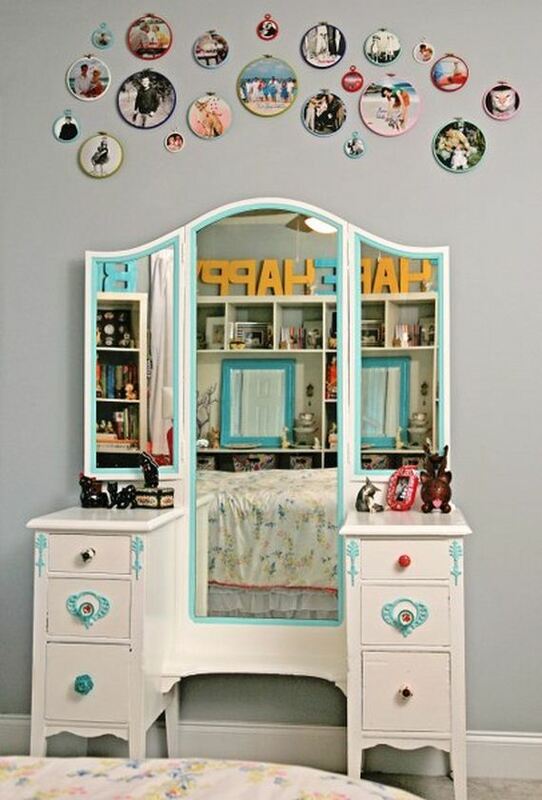 It’s chic, it’s clean and you’ll fit a lot of beautiful memories in. If you want something inexpensive plus modern and chic, run over to The Budget Decorator now and learn how to turn canvases into frames. Liz Marie shows us how to combine wood and wire to make something quite beautiful for your house. Display photos, art and more with this creation! 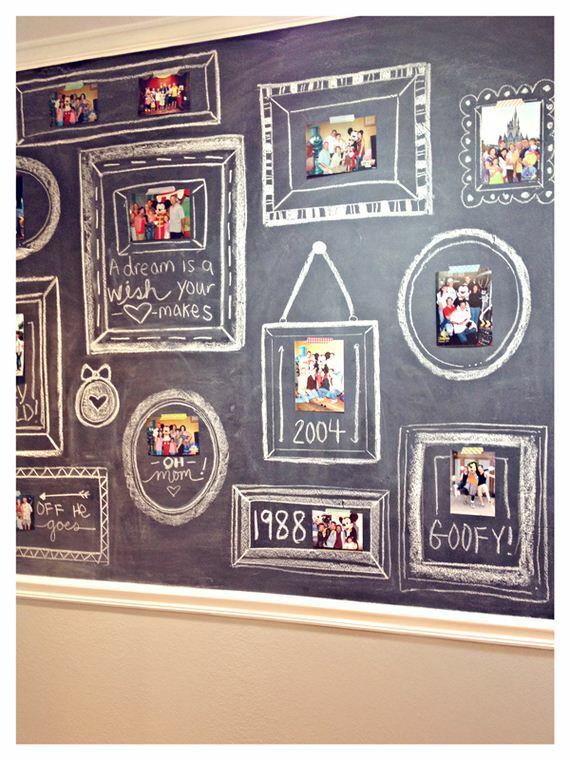 i am doe shows us how to utilize our chalkboard walls and turn them into something super sweet. 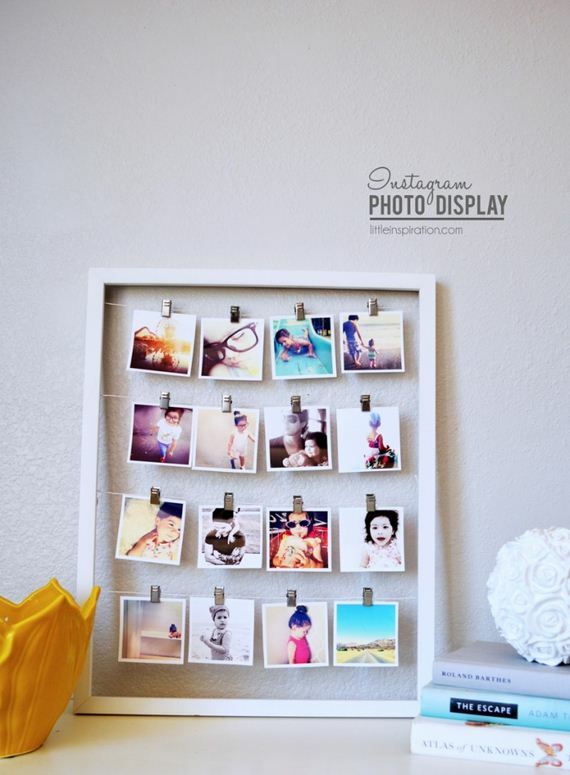 Your best memories can easily be on display! 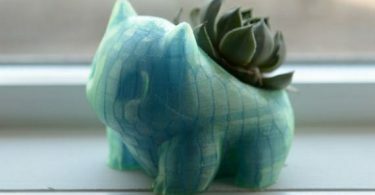 Hey Wanderer shows us how to make an adult-inspired mobile with our favorite snapshots. 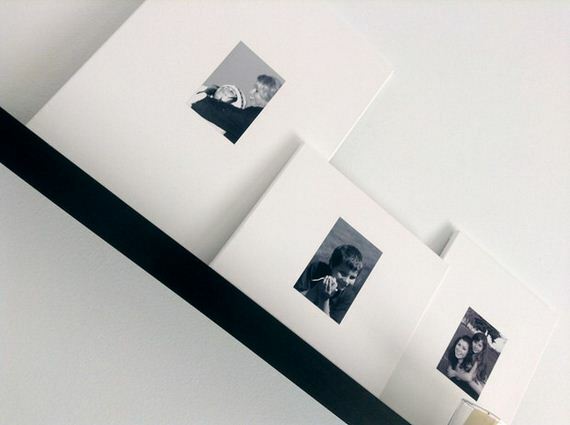 Whether they’re 4×6 or polaroid prints .. turn them into bigger pieces of art. aka design gives us another unique way to show off our own photos. 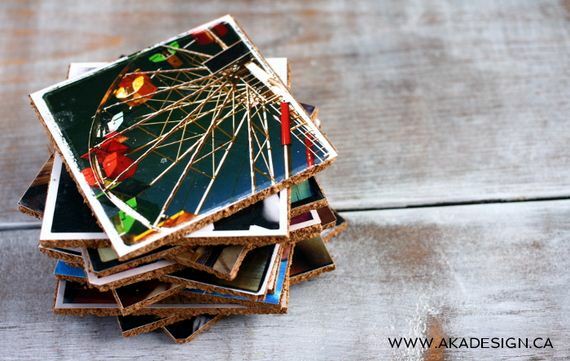 Turn them into coasters for the living room! 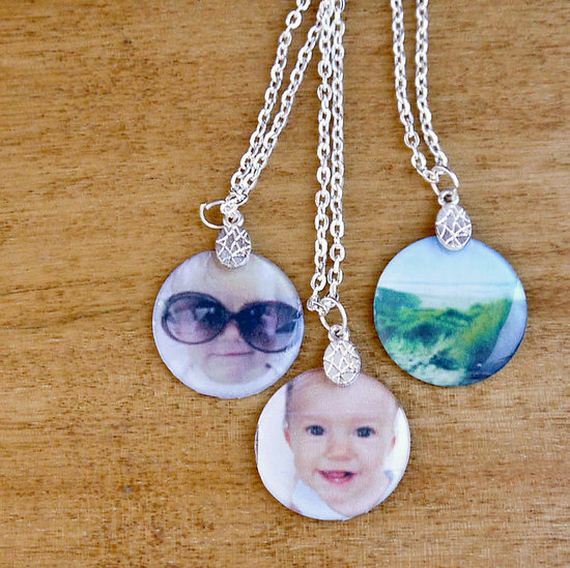 Or you can show off in style and turn your favorite photos into pendants. 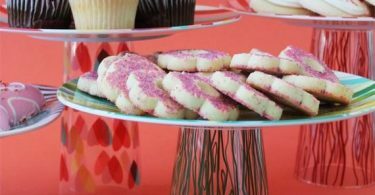 PopSugar has all the details. 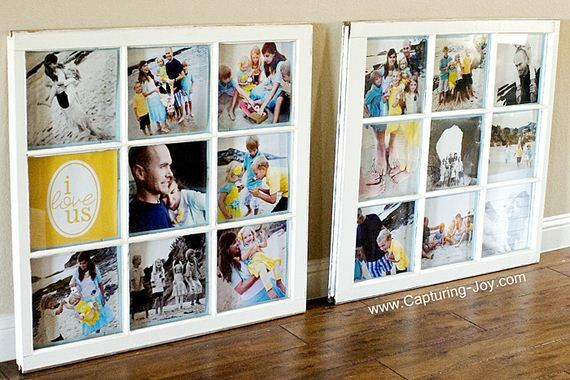 You could always create a clock and slide some family photos into that as well. Honest to Nod is where you’ll find this unique tutorial. My So Called Crafty Life makes some family portraits hoops that we’re so in love with. Follow the link and learn how now! 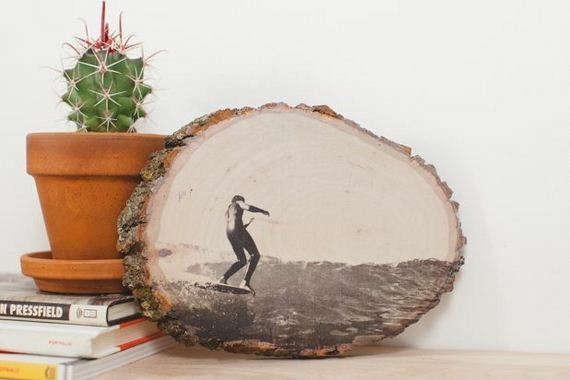 Check out eHow and learn how to transfer one of your favorite photos onto a piece of wood. It’s such a unique and artistic way to display. 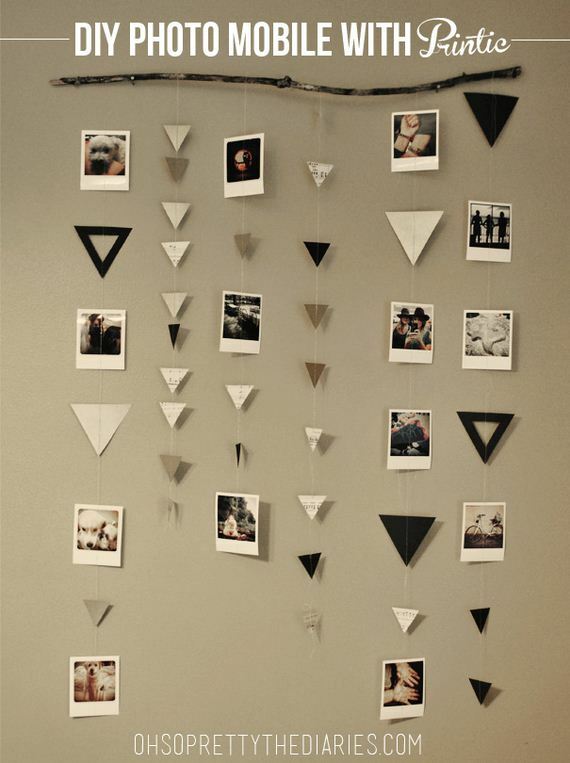 The Caldwell Project took a modern, geometric idea and turned it into a quirky photo display. Check out the details after the jump. Old Brand New gives us a unique and easy idea as well. 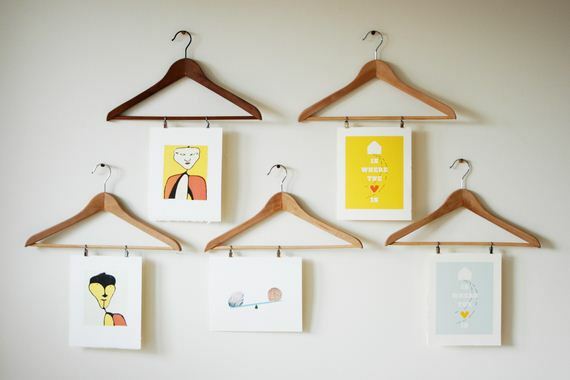 Grab some hangers and use them as the foundation to your wall photo display. And finally, Southern Revivals used pallets in their photo display vision. Visit and grab a peek at the tutorial tonight.